Posted On June 30, 2016 by &filed under Legal Articles. The law of contract has in recent time to face a problem, which is assuming new dimensions. The problem has arisen out of the modern large scale and widespread practice of concluding contracts in standardized form. A standard-form contract is otherwise known as standardized contract. 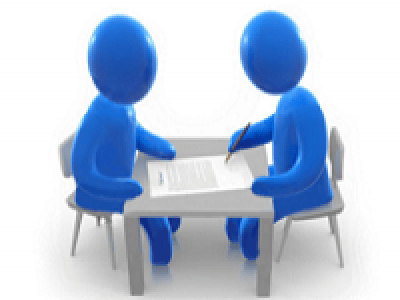 Standard-form contract is usually a preprinted contract containing set clauses. Such contract is mostly used by a business (within a particular industry) by making slight additions or modifications in order to meet the specific situation. Since a standard-form contract favors the drafting party, they can amount to adhesion contracts. Unforeseeable contingencies affecting performance, such as strikes, fire, and transportation difficulties can be taken care of with the help of standard-form contract. The idea of an agreement freely negotiated between the parties has given way to a uniform set of printed conditions which can be used time and time again, and for a large number of persons, and at less cost than an individually negotiated contract. Each time an individual travels by air, bus or train, buys a car, takes clothes to a dry cleaner, buys household goods, or even in some cases, takes the lease of a house or flat, a standard form contract, devised by the supplier, will be provided which the individual must either accept in whole, or, theoretically go without. In fact, there is little alternative but to accept; the individual does not negotiate, but merely adheres. In some respects, therefore, it would be more correct to regard the relationship which arises not as one of contract at all, but as one of status. The contracting party has the status of a consumer. People upon whom such exemption clauses or standard form contracts are imposed hardly have any choice or alternative but to adhere. This gives a unique opportunity to the giant company to exploit the weakness of the individual by imposing upon him terms, which may go to the extent of exempting the company from all liability under contract. Due to enormous increase in the volume and complexities of trade and business, a business concern may have to enter into a large number of contracts with its customers or clients. When a large number of contracts have got to be entered into by a person, from a practical point of view and for the sake of convenience, a standard form for the numerous contracts may be used. The contracts with standard terms may be drafted by one party and on the same terms contracts may be made with numerous persons. For instance, an insurance company may prepare a draft of insurance policy, which may form the basis of contract with a large number of insured persons. Similarly, the railway authorities may print various terms and conditions in the Time Table, which may be deemed to be the basis of the contract with thousands of passengers who may be travelling by rail every day. In the same way, the same terms and conditions may be printed on the back of every receipt issued by a dry-cleaner, on every lottery ticket sold by any particular person or institution. The contract in such a case is not made by the process of negotiation, as regards its terms and conditions, between the two parties. One of the parties generally prepares draft of the contract, which the other party is enabled or made to, or sometimes even deemed to, agree to. Such contracts have become quite common in our everyday life. In standard form contracts, generally the terms of the contract are pre-drafted by one of the parties and the other is supposed to sign on the dotted line, without having any time or opportunity to get the terms changed. One of the parties being in a greater bargaining position, generally drafts the terms which suit him most, and at times tries to exclude or limit his liability, without caring for the interest of the other side, who is in a weaker bargaining position. Though standard contracts present the advantage of preprinted standard format; they are essentially “take it or leave it” contracts with no room for negotiations. Standard contracts are basically contracts which are drafted by one party and signed by another party without any modification or change. These contracts are criticized for killing the bargaining power of the weaker party and open up wide opportunity for exploitation. Sometimes referred to as a boilerplate or an adhesion contract, it is often a contract that is entered into between parties with unequal bargaining power, i.e., a typical contract entered into between a consumer and a bank issuing a credit card, or that between an automobile manufacturer and a local dealership. Standard form contracts are enforceable in many jurisdictions, though contracts of adhesion are subject to greater scrutiny. Contracts of adhesion are typically offered on a take it or leave it basis and embodied in a standardised form drafted by a dominant party. Also, given the unequal bargaining power between the parties, the buyer has no ability to negotiate with the dominant party. When scrutinising adhesion contracts, courts may apply an objective test and seek to determine if the clause was outside the reasonable expectations of the party that did not draft the contract. If this is the case, and the parties were in unequal bargaining positions, the contract will not be enforced due to its inequality. Generally, where the other party has reason to believe that the party manifesting such assent would not do so if it knew that the writing contained a particular term, the term is not part of the agreement. Alternatively, courts may find the contract unconscionable and refuse to enforce it. Unconscionability has been recognised as the absence of meaningful choice on the part of one party due to one-sided contract provisions, together with terms which are so oppressive (unfair) that no reasonable person would make them and no fair and honest person would accept them. The use of standard terms and conditions is not, however, confined to contracts made with consumers. Many contracts between business people – indeed, perhaps the majority of such contracts- are today entered into on the basis of one person’s standard form of agreement or on the basis of a standard form of document, such as an order form, confirmation of order, catalogue or price list, put forward by one party, or which incorporate by reference the standard terms and conditions of trade associations. The ordinary common law principles of the law of contract may not be capable of providing a just solution for a transaction in which freedom of contract exists on one side only. In particular, the party delivering the document may allocate the risks of non-performance or defective performance to the other party. While such allocation of risks should in principle lead to lower costs, it is only justifiable if atleast some of the cost saving is passed on and if the other party is aware of the contractual allocation of risks. In fact, the party delivering the document may seek unfair exemption from certain common law liabilities, and thus seek to deprive the other party of the compensation which that person might reasonably expect to receive for any loss or injury or damage arising out of the transaction. Acting within the limitations imposed on them by the contractual framework of these transactions, the Courts have nevertheless endeavoured to alleviate the position of the recipient of the document by imposing certain requirements for the incorporation into the contract of onerous terms, and by construing the document wherever possible in that person’s favor. Courts and commentators have commonly taken the view of standard form contracts that the party who draws them up has a disproportionate bargaining power in terms of his ability to impose terms involuntarily on the other party. To use Lord Reid’s language in Suisse Atlantique, “ the consumer has not time to read (standard form clauses), and if he did read them, he would probably not understand them. And if he did understand and object to any of them, he would generally be told he could take it or leave it”. The issue remains that whether information imperfections afflicting a consumer in this context are such as to lead to unconscionable contractual outcomes even in structurally sound markets. The disclaimer clause/fundamental breach cases are the classic example of the courts attempting to struggle with the answer to this question. A number of difficult conceptual issues are raised by the question of the abuse of bargaining power through differential information about the content of standard form contracts. In view of the unequal bargaining power of the two parties, the courts and the legislature have evolved certain rules to protect the interests of the weaker party. Despite absence of a specific legislation courts have shown a marked willingness to interfere with standard form of contracts where there is evidence of unequal bargaining power. Courts have given reliefs in cases where weaker party has been burdened with unconscionable, oppressive, unfair, unjust and unconstitutional obligations in a standard form contract. In D.C.M. Ltd. v. Assistant Engineer (HMT Sub-Division), Rajasthan State Electricity Board, Kota where the division bench had to consider the question whether the Rajasthan State Electricity Board functioning under the Electricity Act of 1910 and the Electricity (Supply) Act, 1948 could in exercise of its powers under Section 49 of the Supply Act require the consumer-appellant before them to pay by way of minimum charges at nearly three times the normal rate charged from other consumers being heavy industries consuming heavy demand of 25 MW. Even though the appellant before them, D.C.M. Ltd., had entered into such an agreement with the Board it was held that the said term in the agreement was unreasonable and consequently the demand of such excessive minimum consumption charges was not justified and could not be countenanced on the touchstone of Article 14 of the Constitution of India as the Electricity Board was an instrumentality of the State. The Court in this connection had to consider the nature of the written agreements entered into by the consumers of the electricity with the Board which was a monopolist and the further question whether an apparently inconceivable and unjust term in the written contract could be enforced by the Board against the consumer. Courts have strictly ruled against those standard contracts which exploit the position of an employee vis a vis the employer. They have repeatedly held that in case of employment contract between the employer and employee, there is a universal tendency on the part of the employer to insert those terms, which are favorable to him in a printed and standard form, leaving no real meaningful choice to the employee except to give assent to all such terms. In such a situation the parties cannot said to be in even position possessing equal bargaining power. Where the parties are put on unequal terms the standard form of contract cannot be said to be the subject-matter of negotiation between the parties and the same is said to have been dictated by the party whose higher bargaining power enable him to do so. Standard form of contracts with consumers are often contained in some printed ticket, or notice, or receipt, which is brought to the attention of the consumer at the time the agreement is made and which a prudent consumer would read from beginning to end. In fact, however, the consumer has neither the time nor the energy to do this and, even if this was done, it would be of little assistance for the consumer could not vary the terms in any way. It is not until some dispute arises that the consumer realizes how few are the rights in the contracts. Consumers and investors enter into standard form contracts for financial products and financial services every day. Contracts for home loans, credit cards and client or broker agreements for example, are almost certainly standard form contracts. It is surely more convenient to make contracts through preprinted standard forms rather than negotiating on individual basis. The use of standard form contracts shortens the time for suppliers to supply and consumers to obtain goods or services; and thus facilitates the velocity and multitude of mass production and consumption. Moreover, standard form contracts have the effect of reducing transaction costs for suppliers, which may otherwise be passed on to consumers. Proliferation of e-commerce has resulted in augmentation of the use of standard form contracts, as individual negotiations seem to be impracticable for online consumer sales. As standard form contracts are drafted by professionals for and on behalf of the suppliers, they are inherently one-sided. Standard form consumer contracts are often in small or virtually illegible print and drafted in legal and/or professional language which consumers find difficult to understand. In addition, a lot of them are lengthy and tedious. Consumers who usually sign the contracts at the spot should not be expected to read over and fully understand them before they put their signatures. It is not uncommon that the salespersons just ask consumers to sign the contracts without advising consumers to read over them. Consumers are often under pressure to conclude the bargain quickly without reading the terms carefully or questioning about them. It may be that a consumer is at the front of a queue or he has been given concession during negotiation; and as a result of this, he would feel obliged to cooperate by wrapping things up as soon as possible. A consumer may be a good price watcher. However, he may not be able to shop around for the best contract terms. It may require a certain level of knowledge and will cost a lot of time to do so. Moreover, it is doubtful whether the full text of contract is accessible to a consumer who is just shopping around. In most cases, consumer would only be given a copy of the contract after he/she has agreed to purchase. With the superior bargaining power and information asymmetry in its favour, in drafting a standard form consumer contract a supplier may seek to tilt the balance towards itself at the expense of the interests of consumers. Even if a consumer is aware that the terms are unfavourable, he would proceed with signing the contract thinking that these terms will not be exploited, or realizing that he is not in a position to bargain as the contract is presented on “take it or leave it” basis. Consumers indeed have limited freedom of choice and little room for negotiation on terms as the terms are so standard across the industry; or the products they want are only supplied by particular. Established in 1931, the Joint Contracts Tribunal (JCT) has produced standard form contracts for the building industry for 75 years and it is estimated that two-thirds of the projects in the UK are conducted according to their terms. The Standard form contracts produced have been devised and revised over a period of time by representatives of all interested parties in the building trade, such as builders, architects, surveyors, sub-contractors and local authorities. The JCT standard form contract rapidly assumed the status of an authoritative agreement as regards the building operations that it covered, although it has always been accepted that terms may be implied. The idea which underpins the JCT contracts is that there is value in producing a mutually consistent set of documents to enable a suite of contracts to be used on the same project. As a result, there are common expectations and procedures in place where the contract is for a consultant, constitutes the main contract, deals with the relationship between main contractor and sub-contractor or indeed between sub-contractors. Standardization caused problems because broad terms designed to fit all situations rendered the contract almost meaningless. The parties are bound if the terms are contained in a contractual document. In Chapelton v. Barry Urban District Council, it has been held that if the document is a mere receipt and does not create a contract, the terms contained in such a document are not binding. In this case the plaintiff hired a chair from the defendants to sit on a beach. He paid the requisite charge, took one chair from a pile and also got a ticket from the attendant. Without reading anything written on the ticket he put that into his pocket. As he sat on the chair, he went through the canvas, as a consequence of which he received personal injuries. In an action by the plaintiff to claim compensation for personal injuries, the defendants pleaded exemption from liability because of the following clause having been printed on the ticket : “the council will not be liable for any accident or damage arising from hire of chairs.” It was held that this ticket was no more than a mere receipt and the defendant could not claim exemption from liability on the basis of anything printed on it. Even if a person signs a document containing certain terms but there is found to be a different oral misrepresentation about the contents of the document, the document would not be a binding one. In Curtis v. Chemical Cleaning and Dyeing Company, Mrs. Curtin delivered her white satin wedding dress to the defendents for cleaning. She was asked to sign a receipt and she was orally told by the shop assistant that her signatures were needed because, as printed on the receipt, the defendants did not undertake any responsibility for damage to beads and sequins. In fact, there was a clause in the receipt which exempted the defendants from liability for damage to the articles received for cleaning, however caused, but that was not disclosed to the plaintiff. When the dress was delivered back it was badly stained. It was held by the Court of Appeal that as there was misrepresentation as to the contractual terms which mislead the plaintiff as to the extent of the defendants’ exemption of liability, the defendants could not rely on the clause and they were bound to pay damages. In order that the terms of a contract become binding, all that is necessary to draw the attention of the other party to those terms should be done by the party who has pre-drafted the terms of the contract. If the attention of a party to the contract has been drawn to the terms of the contract by a sufficient notice, for example, by printing on a ticket, “For conditions see back”, or obtaining his signatures on the document containing the terms, or otherwise explaining the terms to him, there arises a binding contract as regards such terms. If, on the other hand, reasonably sufficient notice about the terms of the contract has not been given, there is no binding contract as regards such terms. In M/s Prakash Road Lines (P) Ltd. v. H.M.T. Bearing Ltd., it has been held that the carrier is bound to deliver the goods consigned at the appointed destination or else he will be liable to pay compensation for the same. Merely printing on the lorry receipt that the goods are transported at the owner’s risk will not absolve the transporter from his duty unless it is proved that such term was brought to the notice of the plaintiff. Mere printing on the lottery receipt cannot be deemed to be the term of the contract unless the plaintiff’s knowledge and the consent about the same is there. If a party to the contract wants to have exemption from liability, he must give a notice about the exemption while the contract is being entered into and not thereafter. If the contract has already been entered into without the exemption clause, subsequent notice about the exemption from liability will be ineffective. In Olley v. Marlborough Court Ltd,. the plaintiff and her husband hired a room in the defendants’ hotel and paid for one weeks boarding and lodging in advance. When they went to occupy the room, they found a notice displayed there which stated : “the proprietors will not hold themselves responsible for articles lost or stolen, unless handed to the manageress for safe custody.” Due to the negligence of the hotel staff, their property was stolen from the room. In an action against the defendants’ to recover compensation for loss, they sought exemption from liability on the basis of the notice displayed in the room. It was held that the notice in the room did not form part of the contract, and the defendants were, therefore, liable for the loss. It is not enough that the terms of the contract have been brought to the knowledge of the other party by a sufficient notice before the contract is entered into, it is also necessary that the terms of the contract themselves should be reasonable. If the terms of the contract are unreasonable and opposed to public policy, they will not be enforced merely because they were printed on the reverse of a bill or a receipt or have been expressly or impliedly agreed upon by the parties. In Central Inland Water Transport Corporation Ltd, v. Brojo Nath, one of the clauses in a contract of employment provided that the employer (Corporation) could terminate the service of a permanent employee by giving him a 3 months notice or 3 months’ salary. In accordance with the above clause, the services of the respondent Brojo Nath and another was terminated instantly by giving them the notice, accompanied by a cheque for 3 months’ salary. It was held by the Supreme Court that such a clause in the service agreement between persons having gross inequality of bargaining power was wholly unreasonable and against public policy and was therefore void under Section 23 of the Contract Act. Sometimes the courts have resorted to the device of strict construction of the contract to give protection to the weaker party in cases where the parties to the contract do not have bargaining equality or one of the parties is likely to have an undue advantage at the cost of the other. In Wallis v. Pratt there was a sale by sample of the seeds described in ‘English sainfoin’ by the respondents to the appellants. The contract was made subject to an exemption clause saying : “The sellers give no warranty, express or implied, as to growth, description or any other matters.” The respondent supplied an inferior quality of seeds known as ‘giant sainfoin’. The two kinds of seeds were indistinguishable and the fact could be known only after the seeds were sown and the crops were ready. The appellants, who had sold the seeds further, were forced to pay compensation to their buyers and they in turn brought an action against the respondents to recover the compensation paid by them. The respondents pleaded exemption from liability on the basis of the clause in the agreement as stated above. It was held that there was a breach of an implied condition that the goods must correspond not only to the sample but description as well for which the respondents must pay compensation. Another device which has been adopted to protect the interests of the weaker of the parties to the contract when they have an unequal bargaining position, it is to see that enforcing the terms of the contract does not result in the fundamental breach of the contract. In a standard form of contract it is likely that the party having a stronger bargaining power may insert such exemption clause in the contract that his duty to perform the main contractual obligation is thereby negatived. But the main obligation under the contract is not allowed to be negative by any term of the contract. No exemption clause is allowed to permit the non- compliance of the basic contractual obligation. In Alexander v. Railway Executive, the plaintiff deposited his luggage in the defendants’ cloak-room and in return received a ticket. A term printed on the ticket exempted the defendant from liability for loss or mis-delivery of the luggage. Plaintiff’s luggage was delivered to an unauthorized person without the production of the ticket. It was held that non-delivery of the luggage to the plaintiff amounted to fundamental breach of contract for which the defendant was liable. In cases where more than one kind of liability arises, exclusion of contractual liability may not negative any other kind of liability. In White v. John Warrick and Co. Ltd. the plaintiff hired a cycle from the defendants under an agreement stipulating that “nothing in this agreement shall render the owners liable for any personal injury”. While the plaintiff was riding cycle its saddle tilted forward as a consequence of which he was thrown and injured. In an action by the plaintiff the defendant pleaded non-liability on the basis of the exemption clause. It was held that the exemption clause excluded only contractual liability of the defendant, whereas they still remained liable for negligence under the law of torts. If A and B enter into a contract under which B tries to exclude his liability by an exemption clause, such a clause would not exempt any other person, say C from liability because of the rule that C is a stranger to the contract and he cannot take advantage of the contract between A and B. thus, if a carrier, by an exemption clause, excluded his liability, that does not mean that his servants will be able to avoid their liability, if they are negligent. In Morris v. C.W. Martin and Sons Ltd., the plaintiff gave her fur garment to a furrier for cleaning. Since the furrier himself could not do the job, he gave this garment to the defendant for cleaning, with the consent of the plaintiff. The defendant’s servant stole the garment, for which the plaintiff brought an action against them. The defendants sought exemption from liability on the basis of the agreement between the plaintiff and the furrier. The defendants were not allowed exemption and they were held liable. (i) Road Traffic Act, 1960 makes any contract for the conveyance of passengers in a public service vehicle, which restricts or excludes liability for injury to a passenger, void. (ii) Transport Act, 1962 debars Transport Boards from excluding or restricting their liability towards their passengers travelling on tickets, for death or injury caused to them. Unlike England, there is no specific legislation in India concerning the question of exclusion of contractual liability. There is a possibility of striking down unconscionable bargains either under Section 16 of the Indian Contract Act on the ground of undue influence, or under Section 23 of that Act , as being opposed to the public policy. In Central India Water Transport Corp. Ltd. v. Brojo Nath, the Supreme Court struck down a clause in a service agreement whereby the service of a permanent employee could be terminated by giving him a 3 months’ notice or 3 months’ salary. It was held that such a clause was unreasonable and against public policy and void under Section 23 of the Indian Contract Act. Similarly, if a dry cleaner tried to limit his liability to 50% of the price of the saree lost on the basis of a term printed on the reverse of the receipt, the clause limiting the liability was held to be against public policy, and therefore, void. The Law Commission of India in its 103rd Report ( May, 1984), on unfair terms in contract, has recommended the insertion of a new Chapter IV-‘A’, consisting of Section 67A in the Indian Contract Act. According to this recommendation, where the court, on the terms of the contract or evidence adduced by the parties, comes to the conclusion that the contract or any part of it is unconscionable, it may refuse to enforce the contract or the part that it holds to be unconscionable. A contract, according to this provision, is considered to be unconscionable if it exempts any party thereto from either the liability from willful breach of contract, or the consequences of negligence. However, the same has not been implemented until today. In the absence of any effective legislative or judicial control over the use of standard form contracts, traders are likely to be tempted to avail themselves of their overwhelming bargaining power to impose on consumers terms that go beyond what is reasonably necessary to protect their own legitimate interest. Traders who do not have the self-restraint and would seek to draft the contractual terms in the way that goes beyond self-protection. Widespread use of unfair terms and the bad experience of consumers who suffered detriments as a result of the use of unfair terms would create the risk of reducing consumer confidence and depressing consumer spending. Conversely, if consumers are aware that the contracts they are about to enter into were fairly drafted, consumers would feel more confident and secure in making the purchase and this would tend to boost the sales of the market. Besides, consumer contracts drafted in a fair manner and in good faith is the prerequisite of a fair marketplace which would provide a sound basis for a prosperous development of economy, and, thus, both consumers and businesses will be benefited ultimately. A standard form consumer contract should be fair not only in substance but also in form. It is fair only when it is legible and intelligible. Apart from using plain and ordinary language, a standard form consumer contract should be short and simple. Terms which are superfluous, draconian or convoluted should be avoided. They cannot help in the safeguard of the business’ interests. Rather, they are likely to make the contract unnecessarily complicated and increase the risk of and costs for resolving disputes. Adoption of fair terms in consumer contracts would indicate the determination of business to abide by the principle of good faith and this would help business build a rapport with consumers. Moreover, a consumer contract containing unfair terms is a piece of evidence showing that the business does not treat consumer fairly and act in good faith. Consumers would respond by mistrust towards the business and this would significantly impair its goodwill. A fair consumer contract will serve the best interests of consumers, businesses and society. The importance of standard form contracts in the world of businesses cannot be overstated. More than any other factor, it is the growth of standard terms which has prompted the development of legislative and judicial forms of protection for those who suffer from inequality of bargaining power in the market place. Moreover, it is in this field that we have witnessed some of the worst abuses of economic power. But, alongside the popular vision of standard contracts as abusive, lies another model, in which standard form contracts can be seen as facilitating the more efficient working of markets by saving time when the contracting parties are of roughly equal bargaining strength. They can be conceptualized as a private form of ordering in which industries are able to formalize shared understandings about what constitutes fair practice and sound economic sense. Viewed in this way, the use of standard contracts to plan future relations and allow for the flexibility needed in a field can be seen in a positive light. # “The Language of Standard Form Contracts (2)”, available at http://www.translegal.com/exercise/7069. # Vidhan Maheshwari, “Standard Form of Contracts”, available at http://www.legalserviceindia.com/articles/stcontracts.htm, visited on 6th September 2014. # Vandana Pali, “India: Law Related to Standard Form of Contracts”, available at http://www.mondaq.com/india/article.asp?articleid=272948, visited on 7th September 2014. # Dr. R.K. Bangia, “Contract-I”, Allahabad Law Agency, Haryana, 2009, P. 55. # “The Language of Standard Form Contracts (2)”, available at http://www.translegal.com/exercise/7069, visited on 6th September 2014. # H.G. Beale, W.D. Bishop & M.P.Furmston, “Contract- Cases and Materials” Oxford University Press, Oxford, 2008, P. 969. # “Unfair Terms in Standard Form Consumer Contracts” available at http://www.consumer.org.hk/website/ws_en/competition_issues/model_code/2012040301FullText.html, visited on 5th September 2014. # Linda Mulcahy, “ Contract Law in Perspective” published by Routledge-Cavendish, New York, 2008, P. 164. # What consideration and objects are lawful, and what not. # “Unfair Terms in Standard Form Consumer Contracts”, available at http://www.consumer.org.hk/website/ws_en/competition_issues/model_code/2012040301FullText.html, visited on 6th September 2014. # Linda Mulcahy, “ Contract Law in Perspective” published by Routledge-Cavendish, New York, 2008, P.
Consumers would respond by mistrust towards the business and this would significantly impair its goodwill. A fair consumer contract will serve the best interests of consumers, businesses and society.Unequal Bargaining the use of standard contracts to plan future relations and allow for the flexibility needed in a field can be seen in a positive light. , if consumers are aware that the contracts they are about to enter into were fairly drafted, consumers would feel more confident and secure in making the purchase and this would tend to boost the sales of the market. Besides, Unequal Bargaining I hope it reaches your targetted audience. They can be conceptualized as a private form of ordering in which industries are able to formalize shared understandings about what constitutes fair practice and sound economic sense. Viewed in this way, the use of standard contracts to plan future relations and allow for the flexibility needed in a field can be seen in a positive light. Bargaining Powerthanks for information . 102 queries in 0.213 seconds.